We are proud to announce that Wildflower Community Association has selected Tinnelly Law Group as their association’s legal counsel. 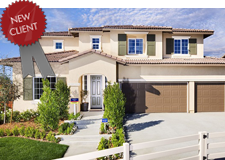 Wildflower is a brand new neighborhood in the city of Moreno Valley being developed by D.R. Horton. The community features single and two-story floorplans with square footages ranging from 2,472 to 3,614 and up to 6 Bedrooms and 4.5 Baths. Each residence includes an open Kitchen and Great Room layout. The exteriors will be enhanced with Spanish, Mediterranean, Craftsman and Tuscan architecture and highlighted with decorative stone, wood corbels or attractive shutter treatments per plan. Our HOA attorneys and staff look forward to working with Wildflower’s Board and management.